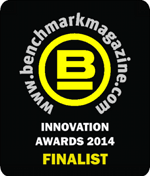 We’re proud to announce our CheckMyCCTV software is a finalist in the 2014 Benchmark Innovation Awards. 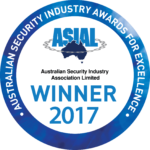 We have long believed that remote CCTV checking is an essential part of maintaining the effectiveness of modern CCTV systems, and by nominating CheckMyCCTV for this award, our customers agree. CheckMyCCTV is currently used to monitor the status of over 6,000 CCTV systems, helping to ensure they are operational every hour of every day. At a time when CCTV end-users are demanding more from their security spend, Installers using CheckMyCCTV are raising the standard and value of their maintenance service by offering a proactive and customer focused service. Installers who use CheckMyCCTV can view the status of their customers’ CCTV systems at any time, and are alerted to CCTV system faults or on-site issues as they happen. 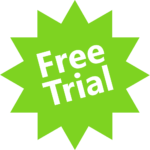 This allows problem sites to be proactively targeted with remote or on-site servicing when it is needed, rather than waiting for their customers’ to report issues, often after an incident has happened and it’s too late. CheckMyCCTV is being used in many sectors including; Retail, Education, Waste Management, Local Council, Critical Infrastructure, Logistics, Food Preparation, Healthcare, and Transportation, with more systems being monitored every day. The introduction of CheckMyCCTV Connector has further strengthened our customers’ service offering, allowing Installers to monitor their customers’ CCTV systems even if they are behind a firewall or on a corporate network. If you provide maintenance services for customers with multi-site or remote CCTV systems, contact us to discuss how CheckMyCCTV is helping CCTV installers provide innovative maintenance solutions, and arrange a no-obligation demonstration or trial.